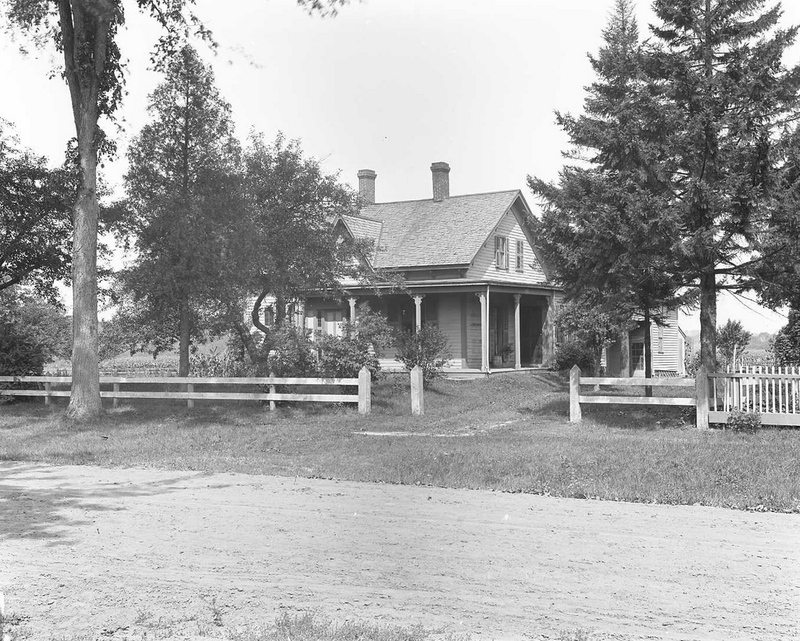 The H. H. Perry House on River Road near the corner of Leonard Street in Agawam, around 1895-1896. Image courtesy of the Agawam Historical Association. This house was built around 1880, replacing an earlier house that had been known as the Old Red House. 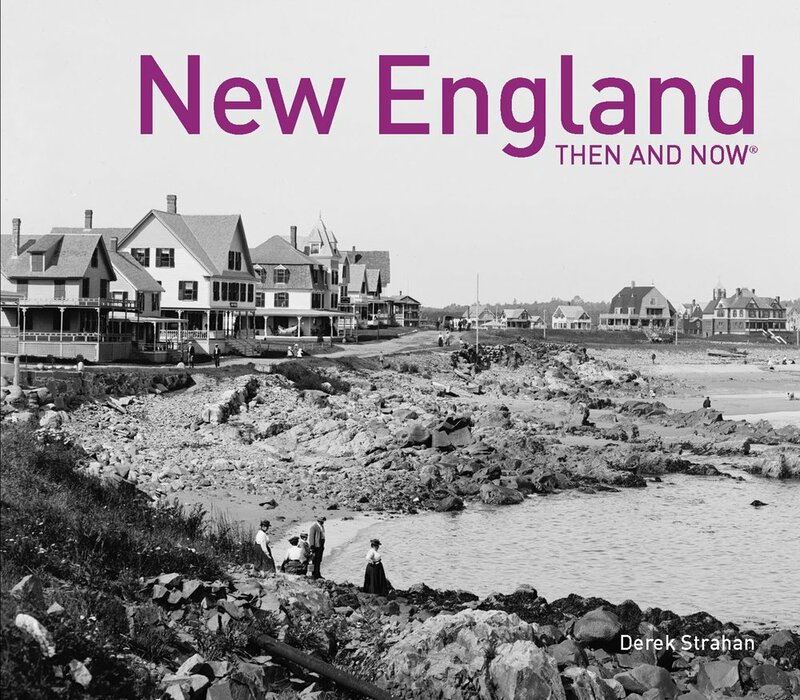 Although identified as the H. H. Perry house, by the time the first photo was taken it was owned by Eudice J. Dyotte, a Canadian immigrant who appears here on county maps from both 1894 and 1912. Today, the old barn is gone, as is the back porch and the shutters,and the house appears to have siding instead of clapboards, although it is hard to tell from this distance. 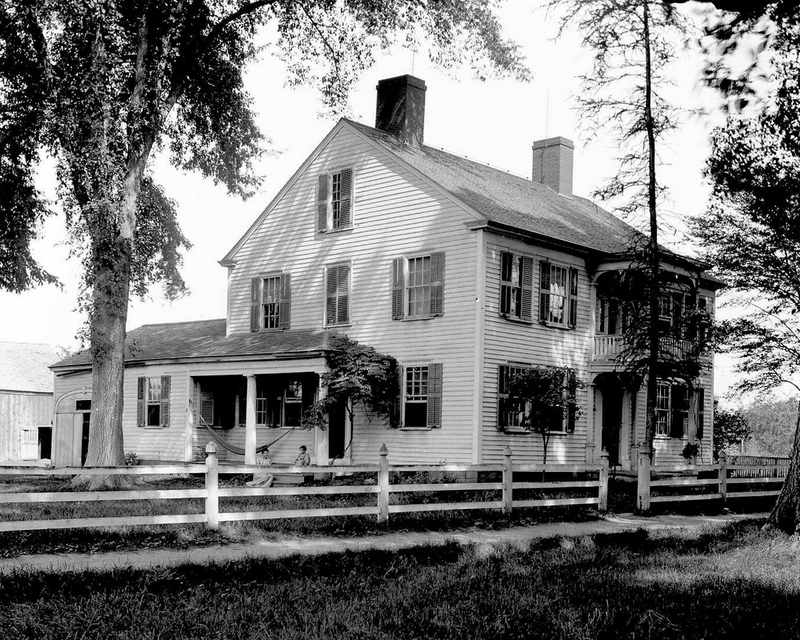 The William Allen House on Main Street in Agawam, around 1895-1896. Image courtesy of the Agawam Historical Association. 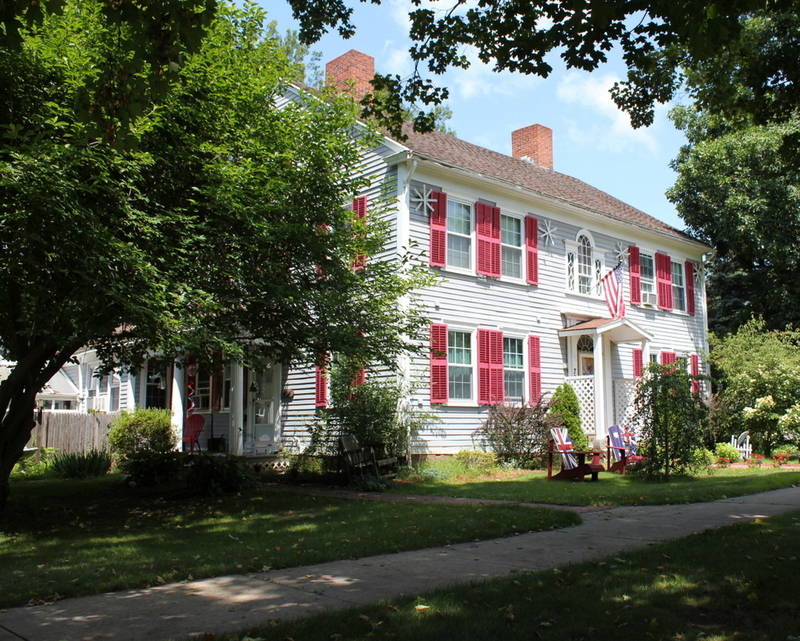 The William Allen House is one of several similar houses along Main Street, including the Rufus Colton House and the Captain Charles Leonard House. All three houses were built around 1800 (this one is a little older, having been built around 1795), and all three may have been designed by, or were at least based on the designs of noted architect Asher Benjamin. The most distinctive feature on the houses is the Palladian window above the front door, but the Allen House is a little different from the others because of its gabled roof, as opposed to the hip roof on the Colton and Leonard houses. The Allen House, like the other two, was built for a militia officer, Lieutenant William Allen. By the time the first photo was taken, it was the home of Frank E. Campbell, a farmer who grew tobacco in his fields behind the house. The fields have long since been subdivided and developed into houses, but the old farmhouse still stands on Main Street, without a whole lot of changes in the past 120 years. The only major change was a 1960s restoration, which returned the house to its early 1800s appearance by, among other things, removing the Victorian-era front porch. 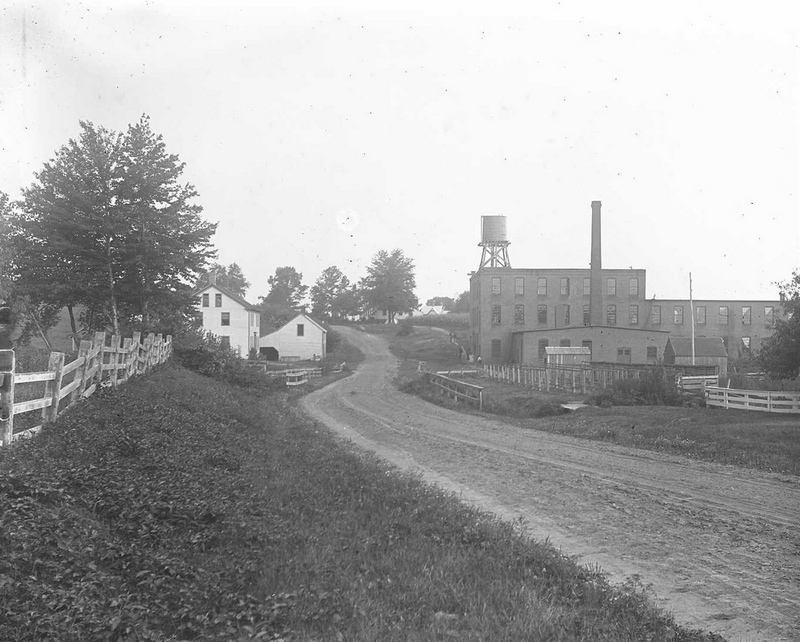 Looking west on Elm Street, with the Agawam Woolen Mill to the right, around 1895-1896. 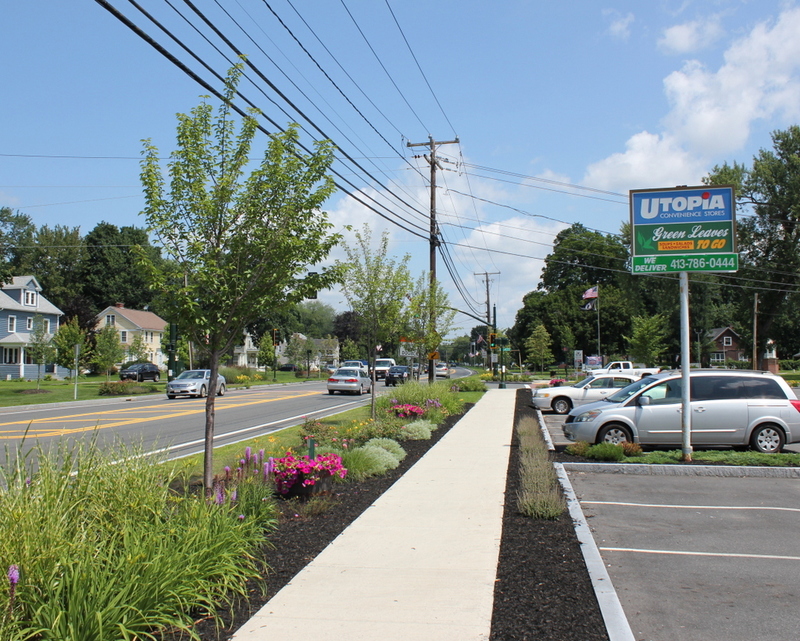 Image courtesy of the Agawam Historical Association. The former Agawam Woolen Mill building still stands on Elm Street, although it is mostly hidden behind the trees from this angle. Agawam was never a major industrial center, but this site along the Three Mile Brook had been used by mills since the early 1800s. In 1857, the Agawam Company, later renamed the Agawam Woolen Company, established its first factory here, which was rebuilt in 1875 and destroyed in a fire in 1889. The present-day factory was built around 1890, and was subsequently expanded several times after the first photo was taken. However, by the mid 1900s, New England’s once thriving textile industry began to struggle amid increased competition, and like many others the Agawam Woolen Company closed in the 1950s. 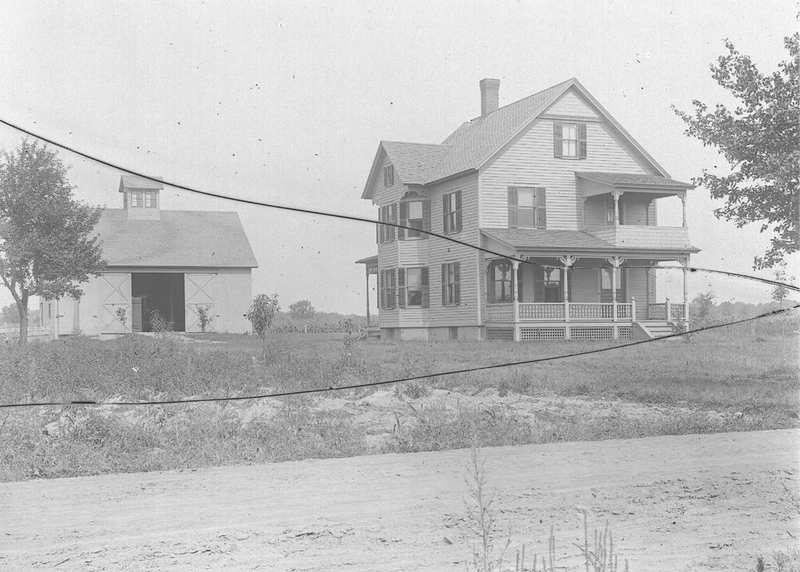 The building still stands today, not all that different from the 1890s photo except for the early 1900s additions. 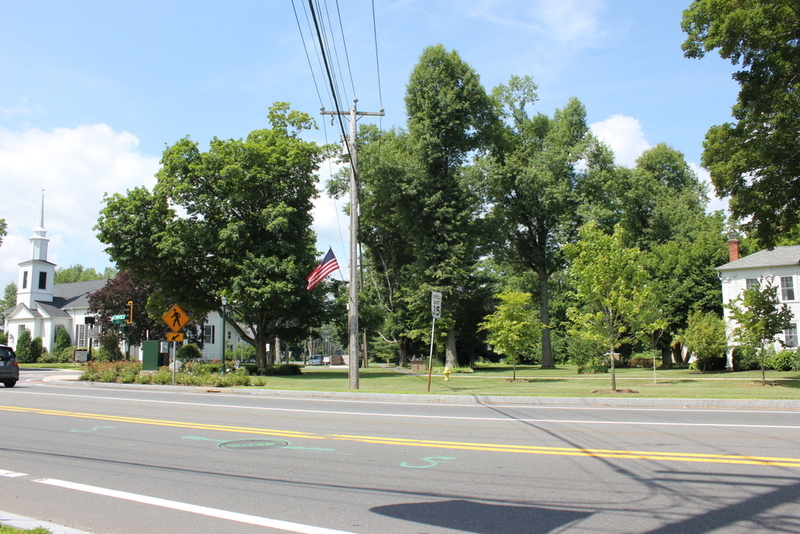 It is a contributing property, and the only industrial building, in the Agawam Center Historic District on the National Register of Historic Places. The Chapin House on Elm Street in Agawam, around 1895-1896. Image courtesy of the Agawam Historical Association. This house on Elm Street was built around 1850, and is an excellent example of the Carpenter Gothic style of architecture that was popular in rural and suburban American houses in the mid to late 1800s. The only noticeable change from the first photo is the porch, which once wrapped around from the right side to the front door. 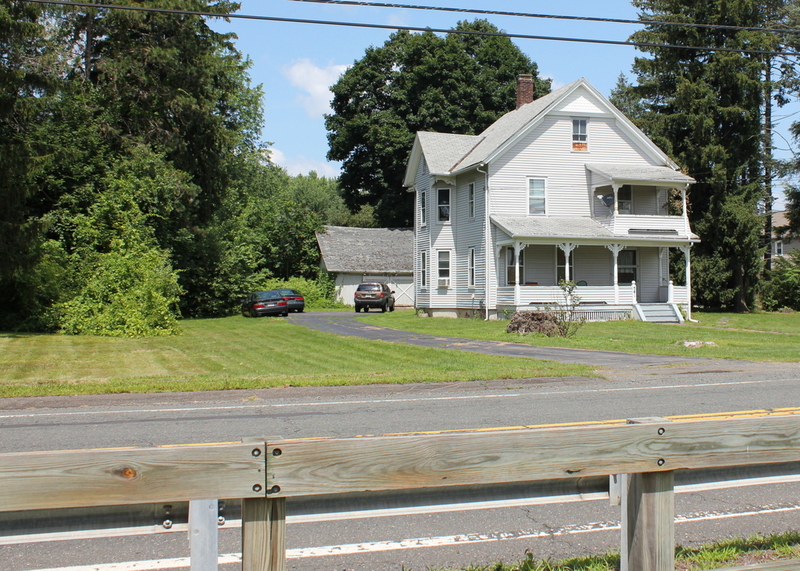 I’m not sure whether this porch was original to the house anyway, and in either case this house is well-preserved and is a contributing property in the Agawam Center Historic District on the National Register of Historic Places. 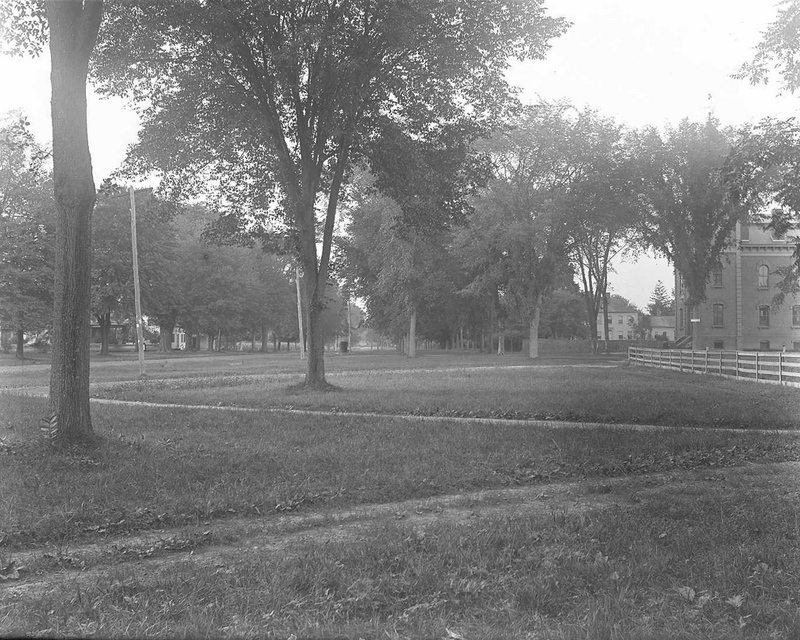 Looking north on Main Street in Agawam, from just south of the corner of School Street, around 1895-1896. Image courtesy of the Agawam Historical Association. These photos were taken from almost the same spot as the ones in this post, just facing up Main Street instead of across it. 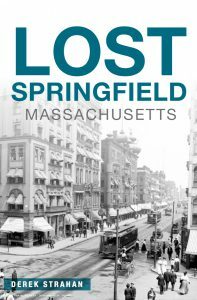 The building on the far right in the first photo was Agawam’s town hall and elementary school; it was built in 1874 and remained in use until 1938, when it was demolished and replaced by the Benjamin Phelps Elementary School, which is located on the site today. 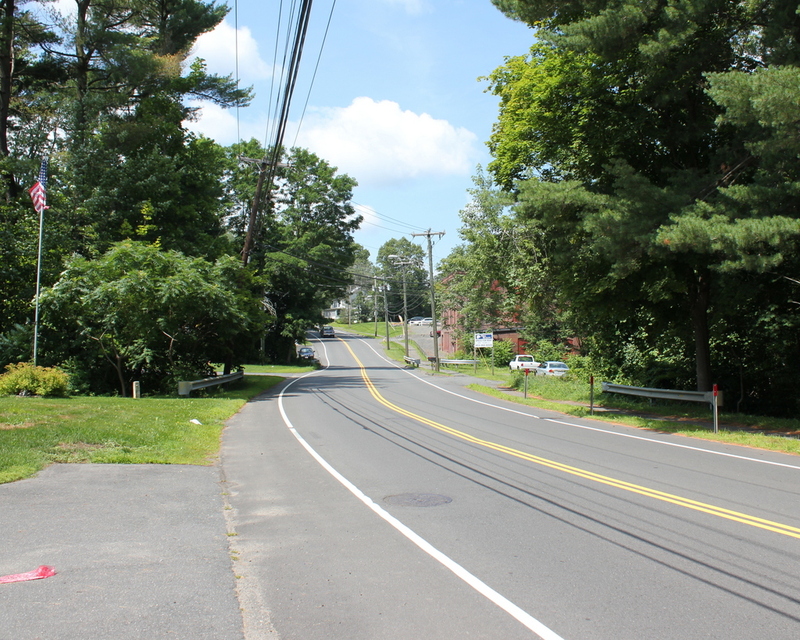 In the distance, beyond the school and just to the left, is the Captain Charles Leonard House, which was built in 1805 and still stands today, although it is hidden from view in the 2015 photo by the trees. 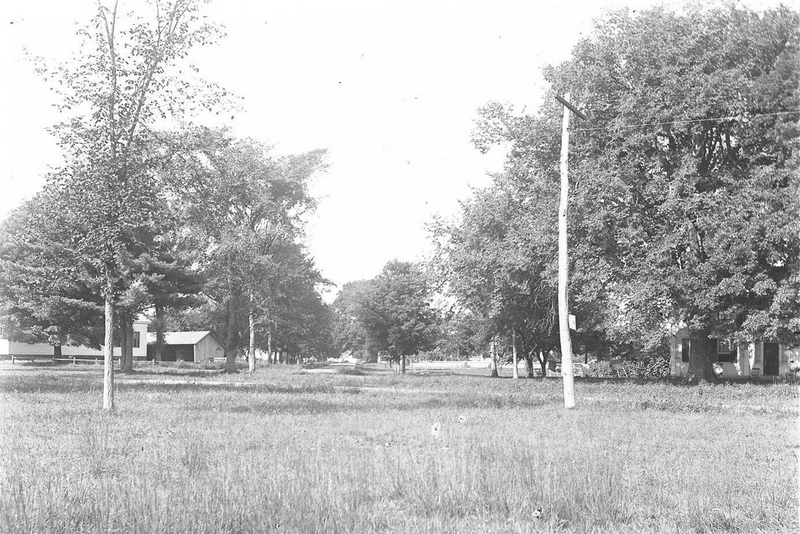 Looking down Elm Street from Main Street in Agawam, around 1895-1896. Image courtesy of the Agawam Historical Association. Today’s view doesn’t have the same pastoral look that it had 120 years ago, but the two buildings from the 1890s photo are still standing today. On the far right is the Rufus Colton House, which was built in 1806 and is mentioned in more detail in the previous post. To the left is the First Baptist Church, which still exists but in a heavily modified form. Baptists had been meeting in Agawam since 1790, and the present church was built around 1830 on Main Street, just south of Elm Street and diagonally across from the Agawam Congregational Church. Substantial additions from the mid 20th century added wings on both sides and behind the original church, so not much is left from its original appearance except for the front entrance. 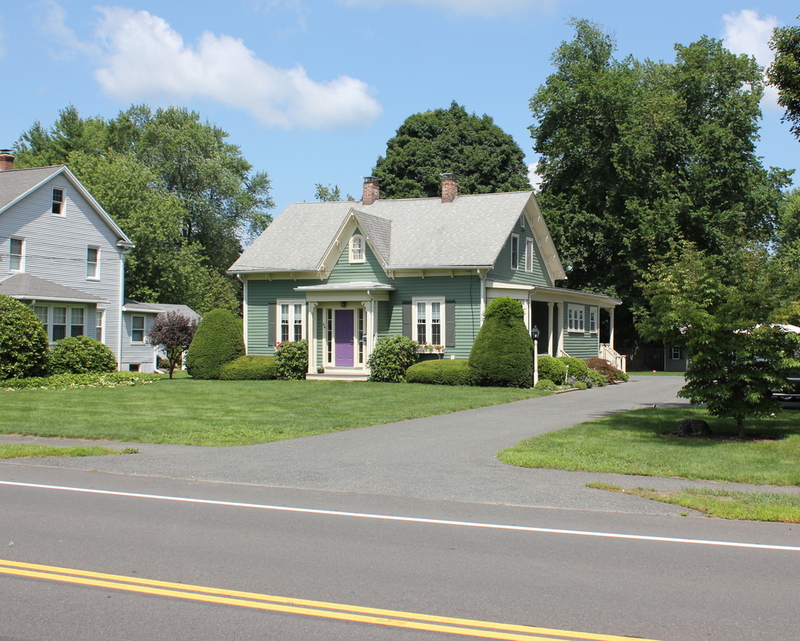 Nonetheless, today it is a contributing property in the Agawam Center Historic District on the National Register of Historic Places.